Many scholars and citizens argue that global mass media are institutions that help political and economic elites around the world achieve their goals, often to the detriment of the less powerful and nonmainstream groups. 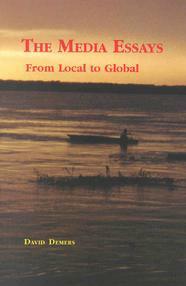 This book of essays supports that proposition but also shows that local mass media, like the family owned Spokesman-Review in Spokane, Wash., perform the same function for the communities they serve. In other words, all mainstream mass media perform a social control function for the communities or nations they serve. The two dozen essays in this book are designed to be easy to read, and many illustrate the social control function using real-world examples.